So you’ve made the decision - you’re moving to Sacramento County. You may have a job already or have found your perfect home, but now you need a way to get there. You should definitely consider a full-service company like California Movers. Professional Sacramento County movers can make the difference between whether your move is a success or if it falls into complete chaos. California Movers can move you locally, long distance or relocate your business. Our rates are very reasonable, we provide a free estimation for your entire moving process and we promise, there aren’t any hidden fees. Our movers have years of experience and we believe the process is smoother when the same team packs and loads your belongings and offloads them at your new home or office. Our moving company in Sacramento County has a fleet of over 20 different sized trucks that can transfer you into your new home. We offer packaging services, furniture disassembly and assembly and specialized services such as piano moving. We also don’t just go from point A to point B. We understand that belongings sometimes end up in multiple places and we’re happy to make additional stops if you need to pick up or drop off something. We are experts in long distance relocation. Our specialized teams of packers follow a strict schedule in loading and offloading procedures to make sure your belongings arrive on time and without any damages. Our experienced drivers and logistics managers work hard to choose the best possible route to ensure prompt relocation of your belongings. Sometimes circumstances mean you cannot move everything at once and you have to do it gradually. Or maybe you’re only moving for a short period of time and you don’t want to take all your things. In these cases, you can use the affordable storage spaces that we offer our clients. They can be rented for a few days or for much longer time periods. When we need to relocate your business, we understand that time is of the essence. We have teams that can work after hours, at night and on the weekends. For your peace of mind, we offer full value insurance. 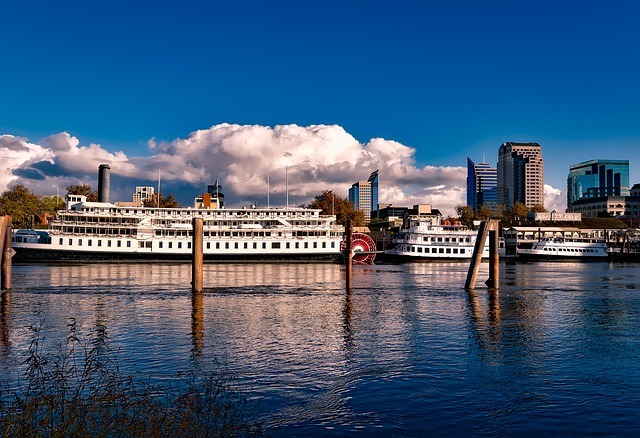 Sacramento County has some of the best cities to live in in the state of California. Are you ready to move with the best movers in Sacramento County? Take a look at some of the best places in the area. Sacramento. Apart from attracting people because it is the capital of California, it also boasts a reasonable cost of living. If you’re thinking of relocating to the area, it's good to know that Sacramento is ethnically diverse and currently undergoing a technological and cultural transition, making it even more appealing for people to settle down. Folsom offers its almost 75,000 residents a wide range of outdoor activities, excellent schools and a safe and quiet environment. Elk Grove likewise is a great place for young adults and new families with lots of parks, shopping centers and movie theatres to fill your days. Rancho Cordova offers the best of a suburban, Northern California environment with easy access to Lake Tahoe, Yosemite and open spaces. If you are considering relocating to Sacramento locally or out of state, contact us so we can give you estimation. You have two options: you can call us at (415) 579-2747, or fill in our form which won’t take you more than a few minutes. We’ll ask you where you are and what your destination is. The date you’d like to relocate, what kind of property you’re moving out of and whether you’ll need storage. Get a free individual quote today and enjoy all the advantages of our professional services.